Lanterns are a universal symbol of brightness, transcendence and guiding light. In various cultures they are viewed as symbols of love, wisdom and illumination. Lanterns symbolize the inner light that guides the soul through periods of darkness with the promise of a new day. They remind us of our ability to find our way in the world and speak to our innate inner strength. Not only are they highly symbolic, they are beautiful and can immediately change the energy of any space. 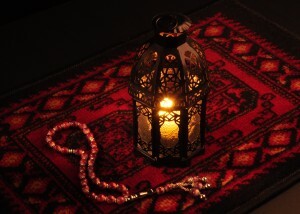 Nothing is as welcoming and comforting as the soft glow of a lantern. Use them throughout the home to enhance the mood of any space or gathering. Use lanterns outdoors at night to create a great atmosphere. Keep them in a gazebo, on the porch, or in a garden seating area. They will add a great energy to the space while also providing light for gatherings. Lanterns around water features also create a beautiful, soothing display. Hang them from branches, canopies and other areas to cast an enticing blend of light and shadows that enhance the beauty and serenity of your outdoor gathering spot. Keep a lantern on the dining table to add ambience and promote a calm, relaxing atmosphere for the evening meal. Most lanterns emit enough light for dining and create a peaceful, harmonious atmosphere, where you can really relax and enjoy reconnecting with your loved ones after a long day. At night, keep a lantern lit in the living area to help prepare the body and mind for sleep. Bright lamps and harsh overhead lights can make it difficult to relax and unwind. Lanterns give off a soft, warm glow to promote calm and inner peace. This is most beneficial to those with anxiety or who struggle with insomnia. Lanterns can also be used in sacred spaces to enhance spiritual practices or meditation. Many are created specifically for that purpose and can help you focus on specific spiritual goals. Lanterns with the chakra colors and symbols are fantastic for enhancing Reiki healing sessions for example. No matter where you choose to use them, a beautiful lantern is a great enhancement to any location. They are so versatile and beautiful; they make fantastic gifts for anyone. Consider a lantern for a house warming or hostess gift. It is unique and certain to be enjoyed by nearly everyone. I like your tip to keep a lantern lit on the dining table to promote a calm, relaxing atmosphere for an evening meal. Fathers’ Day is coming up and I’m planning a special dinner for my father. A lantern would be perfect to set the right peaceful ambiance.